Donald Trump and Vladimir Putin have agreed they will work together to tackle international terrorism and extremism, the Kremlin says. The two men spoke for the first time on the telephone since Mr Trump's unexpected election victory last Tuesday, with the Kremlin adding they will work towards "constructive co-operation" to improve "the extremely unsatisfactory state of Russian-US relations at present". Moscow has said the pair will continue contact by phone and they are working towards meeting in person. 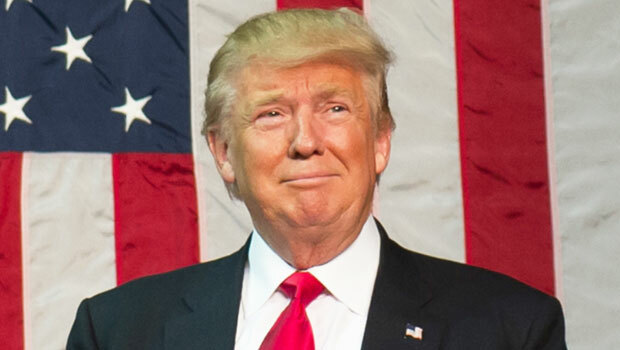 Billionaire businessman Mr Trump will be inaugurated as president on 20 January next year. And he will enter the White House as relations between Barack Obama and Mr Putin have become strained over several issues including the Syrian war, where the countries back different sides. There has also been tension in recent years over the Ukraine conflict, while allegations of Russian cyberattacks featured in the election campaign. Wanda Sykes drew boos from the audience at a charity event in Boston after calling Donald Trump racist and sexist. The stand-up comedian stopped her act and went on a rant against the President-elect at Saturday's Comics Come Home benefit show for Cancer Care in Boston. "I am certain this is not the first time we've elected a racist, sexist, homophobic president. He ain't the first one, he's just the first confirmed one," she said before the audience started a collective boo. Sykes then started turning against the crowd, asking: "You booin' my lines m***********? You're gonna boo my lines now?" "F*** all y'all. F*** you and you and you," she said, pointing at members of the audience. "How can you say he's not racist?" she asked. "Grab them by the p****? How can you say he's not sexist? How can you say he's not racist? How can you say he's not homophobic?" Google has said it is working on a new policy to restrict lucrative adverts from being placed on fake news websites. A Google spokeswoman said: "Moving forward, we will restrict ad serving on pages that misrepresent, misstate, or conceal information about the publisher, the publisher's content or the primary purpose of the web property." Only on Monday, a fake story which claimed Donald Trump received 700,000 votes more than Hillary Clinton was given a prominent slot in Google rankings for the phrase "final election results". The article was from the pro-Trump "70 News" website, and still appears high up in Google's search results even though the tech company has acknowledged the error. Although Mr Trump won the presidency after receiving the most Electoral College votes, the Republican is actually trailing Mrs Clinton in the popular vote. Years ago, I worked as one of Rev. Robert Schuller's body guards (it was something to do on Sundays, I wasn't particularly religious) and one of his sayings was "when given lemons, make lemonade." Personally, I wasn't excited about either presidential candidate, but I actually think Trump could be a better technology candidate than Clinton would have been. That is because she just didn't seem to fundamentally get why a personal email server was a huge security breach, nor how classifications actually work. That was during a time when the nation was under a massive cyber threat -- and still is. After the election, I looked into which candidate best used technology and which one seemed to have a better grasp of what is needed. You might ask why I waited until after the election, and that is because my best example didn't exist until 10 days ago and wasn't disclosed until last week.